These words of the Council of Trent (DS 1642), which are taken up again in the Catechism of the Catholic Church (CCC 1376), make clear the dogma of transubstantiation. By this mystery, the substance of bread is converted into the substance of Christ’s Body. Further, the substance of wine is converted to the substance of Christ’s Blood. 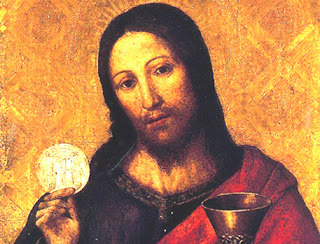 And, because (now, in heaven) Christ’s body and blood are united one with the other and both are further united to his soul and his divinity, the body and blood, soul and divinity of Christ are present in each Eucharistic species and in all of their parts. 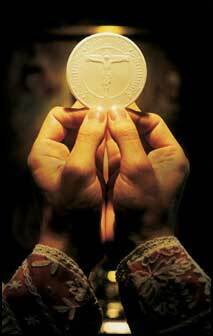 The dogma of transubstantiation rules out two other theories: Annihilation and consubstantiation. From this teaching, we may draw a helpful analogy for family life. As we prepare to celebrate the Solemnity of the Body and Blood of Christ, we do well to consider (in a number of shorter posts, and perhaps one longer) various points relative to the Blessed Sacrament. And now we turn to our current question – Could the Eucharist have been given before the Incarnation? And why is this question significant? Were the Apostles confirmed at Pentecost? On the fiftieth day, the feast of Pentecost, which was a Sunday that year, the Holy Spirit came down in visible form upon the Apostles confirming them in the truth of the Gospel. Until this time, the Apostles were rather timid and fearful. They were not yet perfect, but were still growing in the faith. While they themselves certainly believed in the truth of the Resurrection, the Apostles lacked the requisite strength to preach this truth openly and to defend the Gospel against every assault of the world and the devil. In a word, we may say that the Apostles were not yet confirmed. 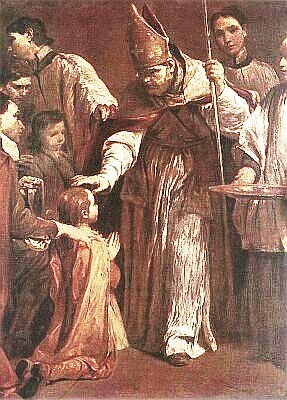 Through the divine power and the external sign of tongues of fire, our Savior conferred upon the Twelve the reality of the sacrament of Confirmation. Why was Matthias chosen by lots? After the fall of Judas from the apostolic college, it was necessary for a successor to be elected. 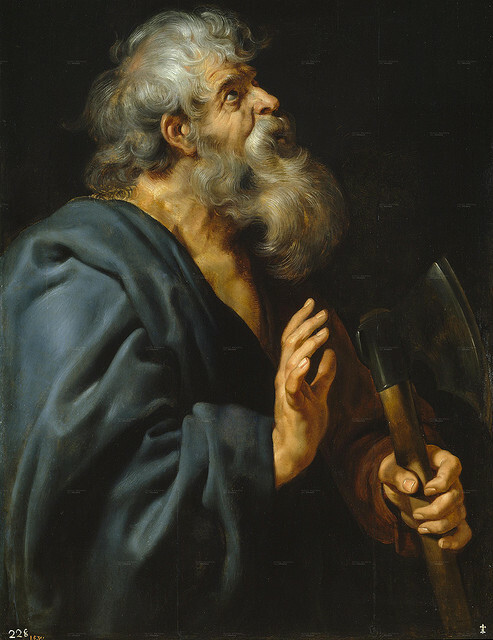 However, it is most striking to note that the choice between either Joseph called Barsabas (surnamed Justus) and Matthias was not made by the people, nor by the eleven, nor even by Peter himself; rather, Matthias was chosen by lots. If Matthias was selected in this manner, the critic might ask, “Why does the Church not employ this means in our own day for the selection of bishops?” The answer to this question reveals just how necessary Pentecost was. In the years since the Second Vatican Council, in an effort to make the liturgy more readily acceptable and agreeable to the people (with the obvious hope that they would grow in devotion and love for God), there have been a number of changes to the liturgical calendar. Furthermore, it has also happened that certain adaptations may be employed either by the local bishops’ conference or by a local bishop himself. Most of these changes and possible adaptations have done little to encourage the devotion of the faithful, but have served only to destroy the little reverence and solemnity left to the Novus Ordo. Happily, whatever the bishops may do to the public prayer of the Church, parents remain the primary leaders of the domestic church – the family. In this little article, we will discuss a few of the banalities present in the calendar of the New Mass (there are far too many to point out in a blog post, but we will mention those most obvious and egregious). However, lest this seem a rant (something which is unbecoming of a member of the clergy and about which no worthy priest would ever boast), we will conclude with a few thoughts on how to preserve the life of faith in the home. Does Christ "look down" upon us from heaven? 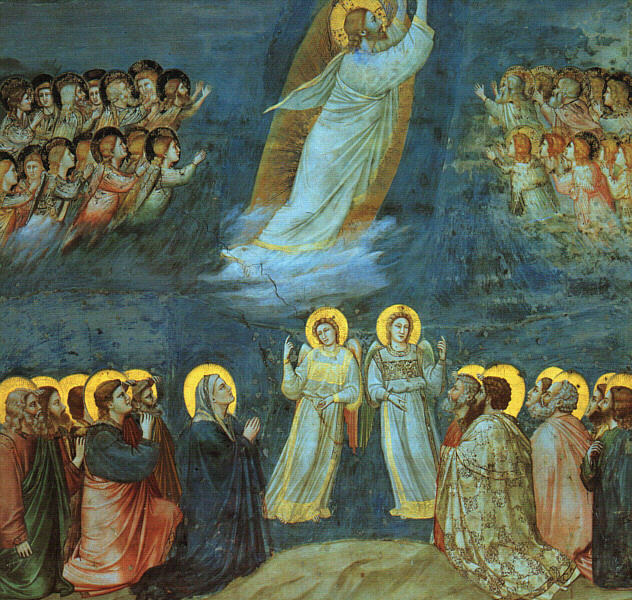 It is an historical fact that our Savior, after remaining with his Apostles and disciples for precisely forty days after his Resurrection, in their sight ascended into heaven. 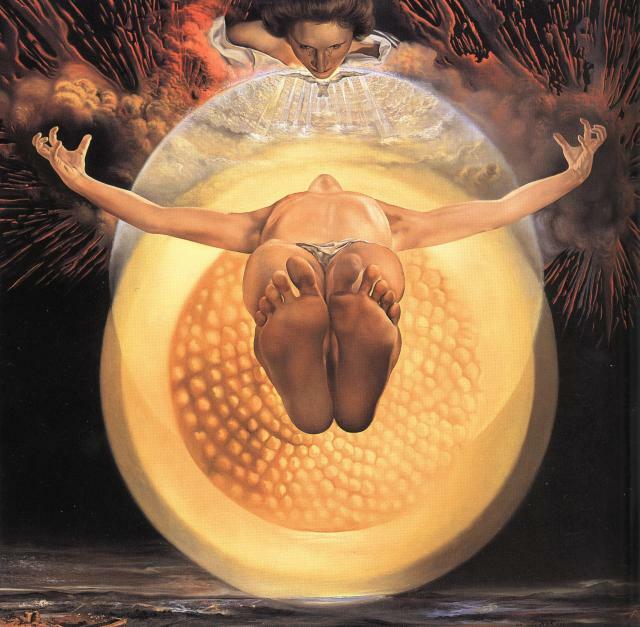 Christ is no longer physically present among the faithful on earth, but his body has been taken up into heaven. Now, our Lord did not abandon us, for he is present in the Church not only according to his divine nature (by which he is present everywhere and especially in the soul by grace), but even according to his human nature in his sacramental species in the Holy Eucharist. Still, Christ has ascended to heaven and thus we must assert that he is no longer present on earth as he had been before the ascension. While he did not abandon us, we must assert that his humanity is no longer present in his proper or natural species on earth. Let us consider his glorified body, present in heaven. Does our Savior “look” upon us from heaven? How are we connected to this physical body which now receives all worship in heaven?